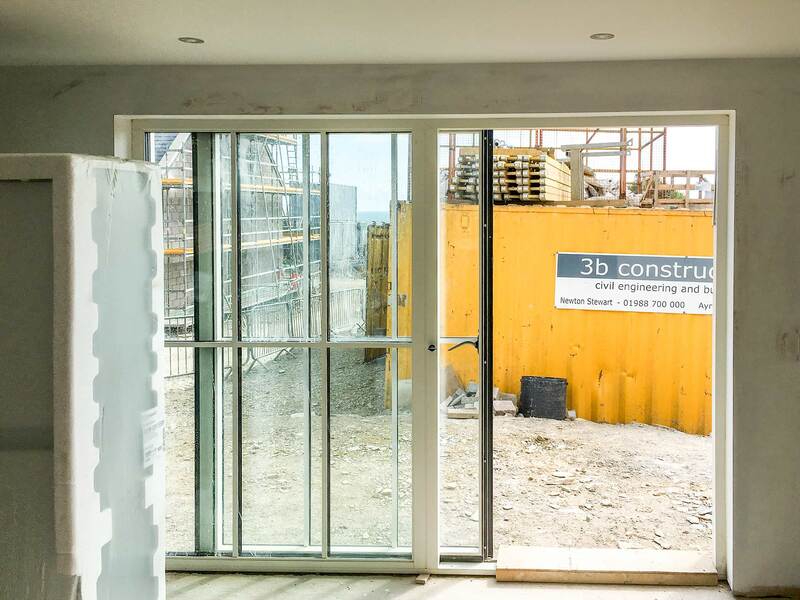 3b Construction is currently installing Idealcombi Futura+ windows and sliding doors at Coo Palace, Borgue. 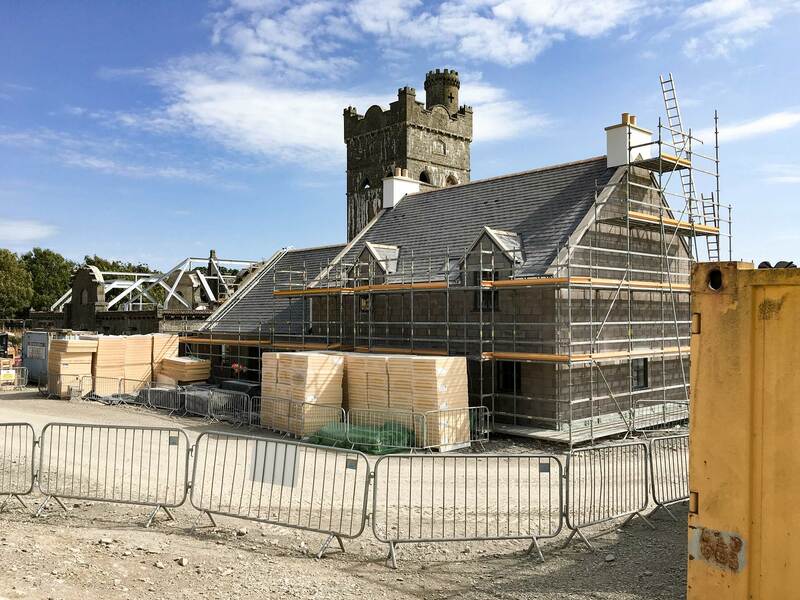 Holiday Property Bond, bought the eight-acre site, to convert the buildings into 21 holiday cottages and eight luxury flats. Ian Nicholson, of JMP Architects, Lancashire, drew up plans to restore the unique building. “The dairy incorporated modern agricultural solutions and the buildings are constructed utilising a plethora of innovative materials and unique details. The building was constructed for wealthy Manchester merchant James Brown who retired to south west Scotland in the late 19th century. 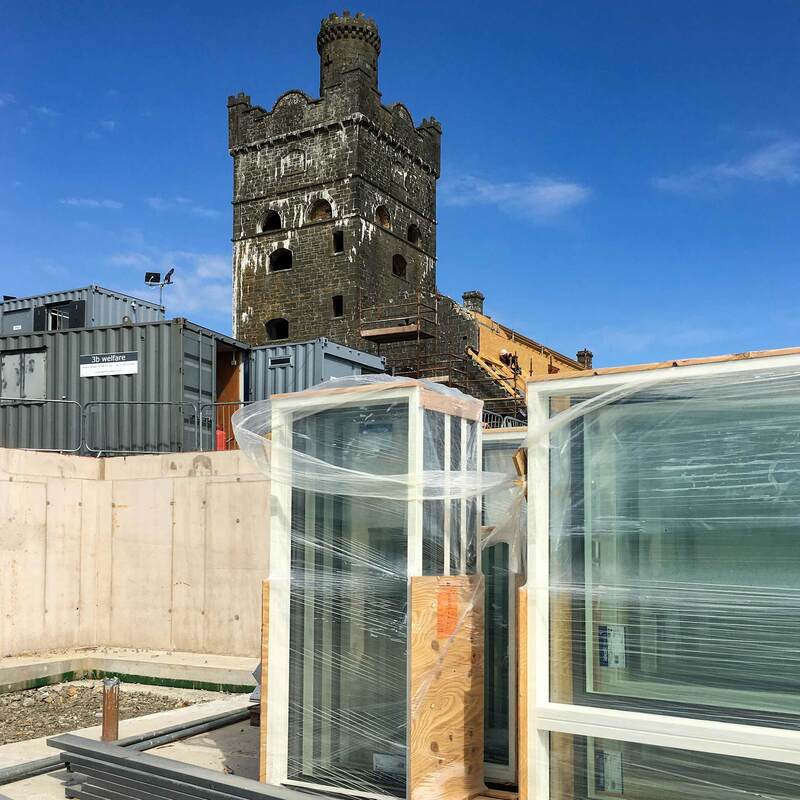 Historic Environment Scotland welcomed the move to bring an “unusual and distinctive” site back into use, but with a number of suggestions to amend the design. 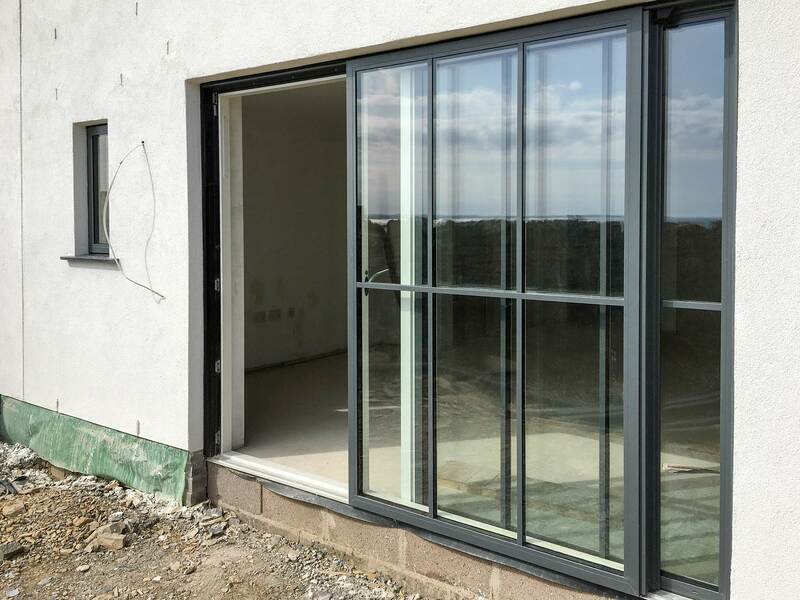 Idealcombi Futura+ windows are being used for low maintenance and high performance in this tough natural setting on the Scottish south coast. 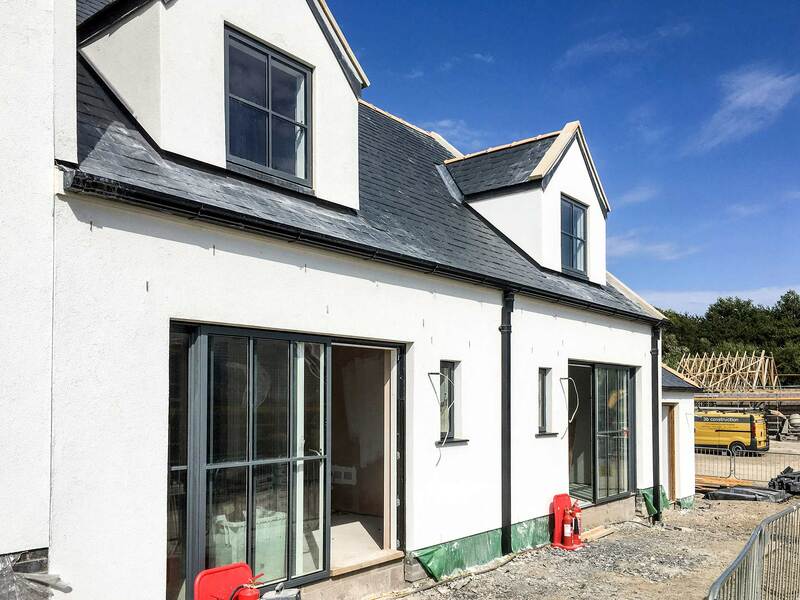 The project design called for 22mm glazing bars to create a cottage style look. 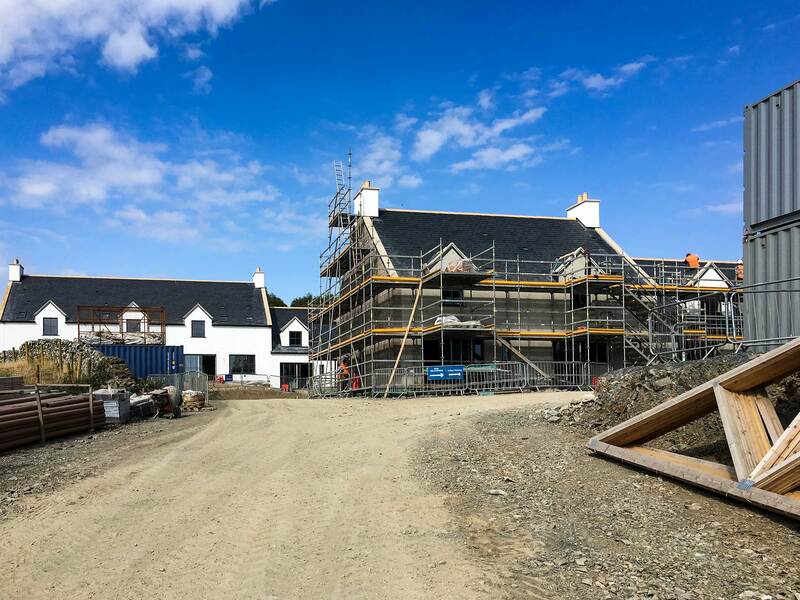 The property development co-ordinator David Bullock, who has been keeping up with the contractors on site, says the team is currently working ahead of schedule and if all continues to go to plan, we’re looking at a completion date towards the middle of next year. Learn more about the site: Coo Palace – saved from falling into ruin. Note the lovely blue sky in Dumfries.